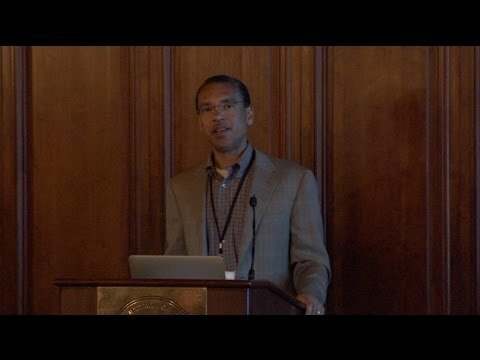 In September 2013, Caltech, UC Berkeley, UCLA, and Stanford University founded a new consortium—the California Alliance for Graduate Education and the Professoriate (AGEP)—to support underrepresented minority graduate students in the STEM fields of mathematics, the physical sciences, computer science, and engineering. The Alliance, launched through a grant from the National Science Foundation, was created to address the fact that minority students enter STEM fields in disproportionately low numbers and that, as a group, their progress slows at each step in their academic careers. This April, Caltech was host to "The Next Generation of Researchers," the Alliance's second annual retreat. 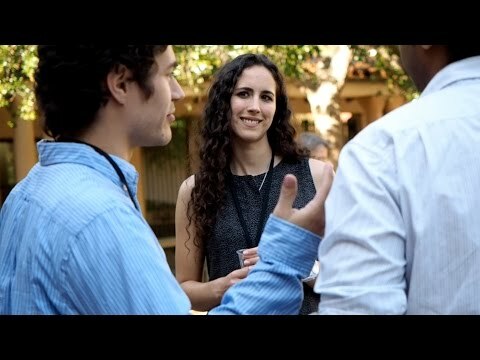 The retreats are designed to bring together graduate students, postdoctoral fellows, research scientists, and faculty from the four institutions and national labs in California for mentoring and network-building opportunities. 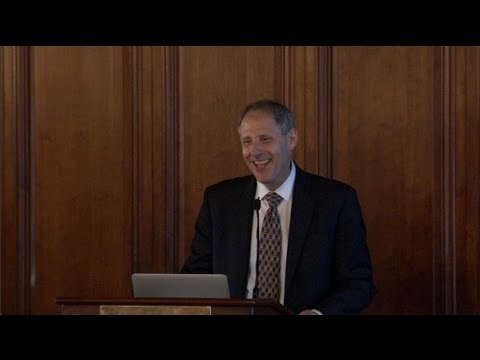 What was Caltech's motivation for entering into the California Alliance, and what has the program accomplished so far? Caltech joined the Alliance to encourage underrepresented minorities to pursue academic careers in mathematics, physical science, computer science, and engineering fields. We seek to not only diversify our own campuses (Caltech, Berkeley, Stanford, and UCLA) but also contribute to diversity throughout the nation. During the first year, the Alliance members identified participants at the four campuses. We have conducted two retreats—the first at Stanford University in 2014 and the second at Caltech. Graduate students, postdoctoral scholars, and faculty gathered at these retreats and learned about opportunities and challenges for underrepresented minority students transitioning from graduate studies to a career as a faculty member. In 2014, the Alliance established a postdoctoral scholar fellowship program, accepted applications in the fall, and is in the process of finalizing awards for this coming academic year (2015–16). The Alliance has also accepted applications for the mentor-matching program through which graduate students can visit faculty at Alliance institutions to learn about opportunities and faculty careers in specific research areas. AGEP programs are funded by the NSF. What are they hoping to achieve through these programs? The AGEP programs were originated at NSF as a response to the recognition of the obstacles that underrepresented minority students faced in graduate education and advancing to faculty careers. These issues are highlighted in "Losing Ground," a 1998 report of a study led by Dr. Shirley Malcom, director of Education and Human Resources Programs of the American Association for the Advancement Science. 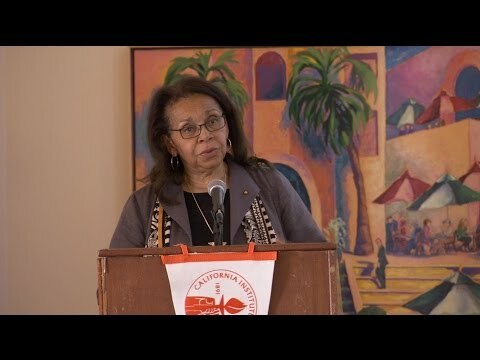 Dr. Malcolm is a Caltech trustee and was a featured speaker at our 2015 retreat. What are we doing at Caltech to support underrepresented minority students in the graduate sciences, and has anything at Caltech changed as a result of our involvement in this consortium? The Caltech Center for Diversity has a number of programs that support various segments of our student population, and we are increasing the number of underrepresented minority postdoctoral scholars at Caltech. In collaboration with several offices across the campus, we are developing and maintaining a strong network focused on outreach, recruitment, matriculation, and the eventual awarding of degrees to underrepresented minorities in the campus' graduate programs. Specifically, the Office of Graduate Studies, the Center for Diversity, and the Center for Teaching, Learning, and Outreach focus on programming that creates access to resources, builds community, and leverages relationships to help to address the challenges highlighted in the AGEP program, including facilitated discussion groups that address issues of inclusion and equality, various graduate student clubs that promote cultural awareness and community education, and an annual "Celebration of Excellence" reception to recognize student successes and the efforts of staff, faculty, and students who promote equity and inclusion on campus. In addition, the graduate recruitment initiative coordinated by the Office of Graduate Studies works to ensure that the campus is able to recruit at underrepresented minority STEM-focused conferences and research meetings around the United States, and encourages graduate student ambassadorship and provides opportunities for underrepresented minority graduate students to network across national professional communities with similar research and academic interests. Encourage greater diversity in graduate admissions by identifying and recruiting underrepresented minority graduate students and ensuring that every student thrives at Caltech. Encourage more of the current underrepresented minority students and postdoctoral scholars at Caltech to take advantage of the professional development opportunities in the Alliance and facilitate their transition to the next stage of their academic careers. Provide more professional development opportunities for all Caltech students and postdoctoral scholars to learn about academic careers. What was the goal of this year's annual retreat? One goal was to promote introductions and discussion among students, postdoctoral scholars, and faculty at the Alliance schools. In addition to informal meetings between participants, we held a number of roundtables and panel discussions on topics such as knowing what to expect of grad school, the postdoctoral experience, and, in general, life as a researcher and faculty member. Our retreat highlighted the research between done by faculty, students, and postdoctoral scholars in the Alliance by holding a poster session that enabled the participants to learn about each other's research activity. The retreat participants learned about some of the exciting research being done in protein design at Caltech from the other featured speaker, Steve Mayo (PhD '88), Caltech's William K. Bowes Jr. Leadership Chair of the Division of Biology and Biological Engineering and Bren Professor of Biology and Chemistry. Who were participants in this year's retreat, and what do you think they gained from the program? There were a total of 111 attendees: 40 percent were faculty, 42 percent were graduate students, 8 percent postdoctoral scholars, and the remainder were staff members, including some from JPL and Sandia National Laboratory. The participants were recruited by the Alliance leadership at each university. The student participants gained the opportunity to network with scientists and faculty at other Alliance institutions, learned about academic careers and postdoctoral scholar opportunities, and were able engage in wide-ranging discussions about careers in science. The faculty and staff participants were able to provide information and advice to students as well as learn about prospective postdoctoral scholars and faculty members. In addition, a total of 18 faculty from Caltech participated out of a total of 43 faculty members who attended from all four Alliance universities. The faculty at Caltech are very positive about this program, and we are encouraged by the high level of participation. Were the sessions specifically focused on the particular needs of underrepresented groups? The focus of the Alliance is on helping young people from diverse backgrounds to consider and succeed in academic careers in science. Many of the issues that contribute to success or failure in academic science careers do not depend on the particular perspective or background of a prospective postdoctoral scholar or professor. The pathway to the professoriate and the mechanics of succeeding in an academic career are far from obvious, particularly for students with disadvantaged backgrounds as well as those who are the first in their family to obtain a college degree or consider a career in science. One of the important roles of the Alliance retreat is in providing information about the many career aspects to which our student participants are exposed early enough in their careers so that it may make a difference.